After enjoying a deliciously satisfying meal at Owens Boarding House in Warner Robins, Georgia, you may not want to get right back in the car for a long ride. 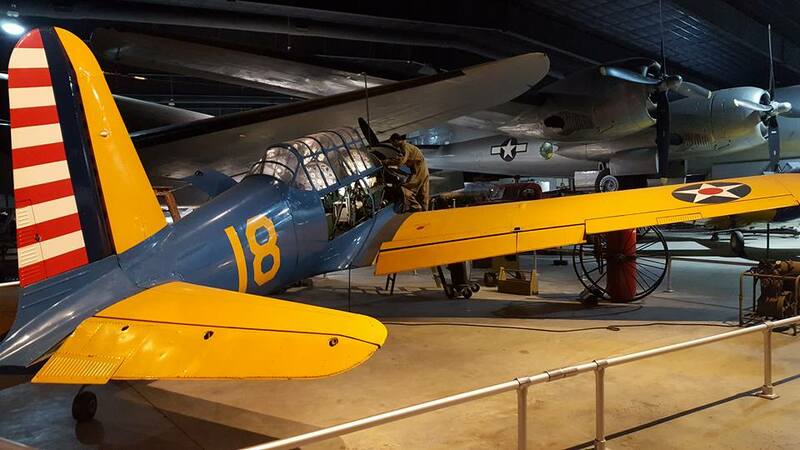 Lucky for you, the Museum of Aviation, is only a 5-10 minute drive away. Opened in 1984, this 51-acre complex is located next to Robins Air Force Base and is comprised of four large exhibit buildings which house 85 historic U. S. Air Force aircraft, missiles and cockpits. 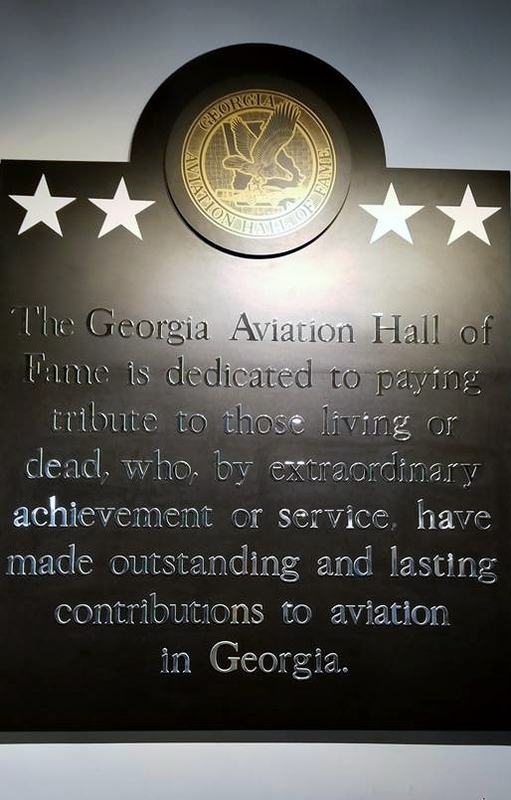 It is also the home of the Georgia Aviation Hall of Fame. 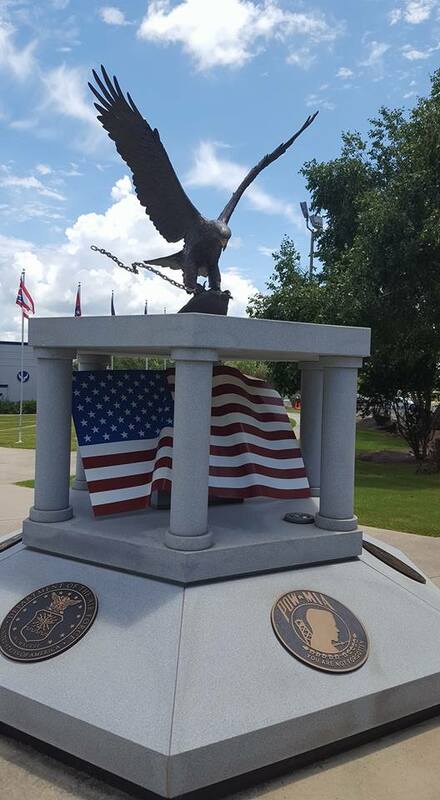 This amazing place pays tribute to our veterans and reminds visitors of the legendary heritage of the U. S. Air Force. Whether you’re a veteran or relative of a veteran who flew these aircraft or you’re a fan of war movies or maybe you’re a history buff. Maybe you just have a serious weakness for fly boys like P1. 😉 You’re sure to find something that will make your jaw drop, or bring a tear to your eye, or both. This place has a profound impact on visitors. 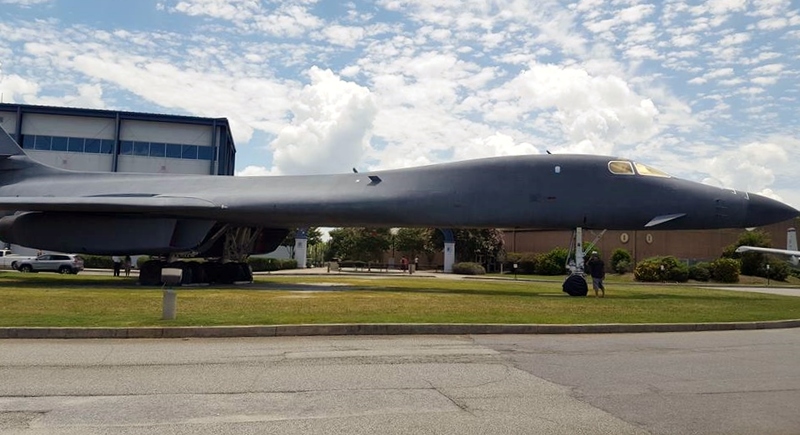 When you drive up, you can’t miss the Rockwell B-1B “Lancer” parked in front of the hangars. It’s not every day that you can get close enough to one of these to touch it. This is a supersonic, variable-sweep wing, heavy bomber like the ones currently in use by the U. S. Air Force. Amazing! 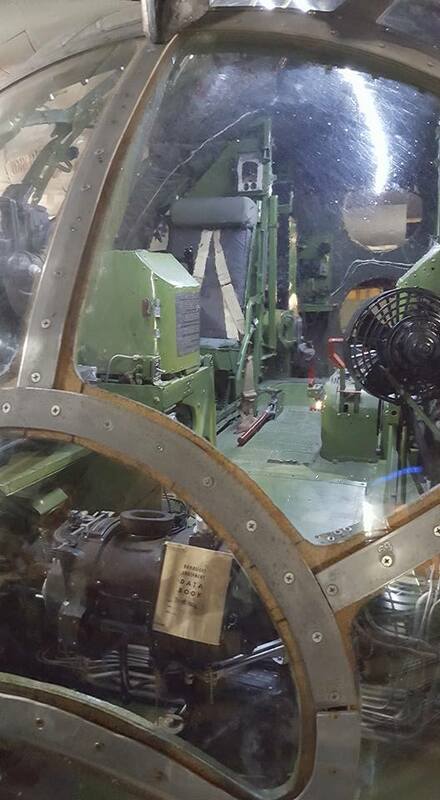 World War ll aircraft are prominently featured in the museum. 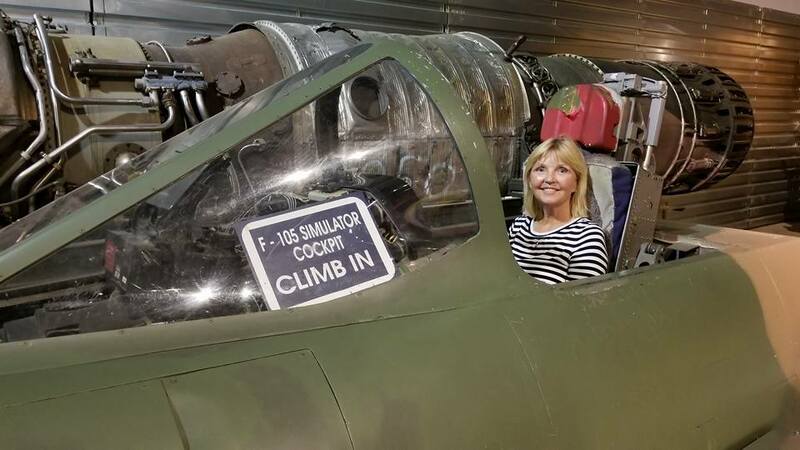 An impressive exhibit pays tribute to the colorful story of Claire Chennault, who came out of retirement to help establish and lead the 14th Air Force Flying Tigers, which were made famous by the John Wayne movie of the same name. 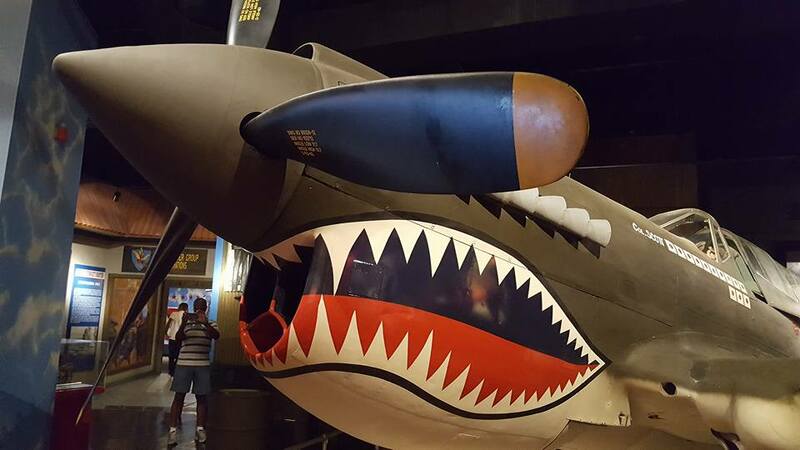 It even includes a P-40 Warhawk with the shark-faced nose art of the Flying Tigers which remains among the most recognizable image of any individual combat aircraft or combat unit of World War II. 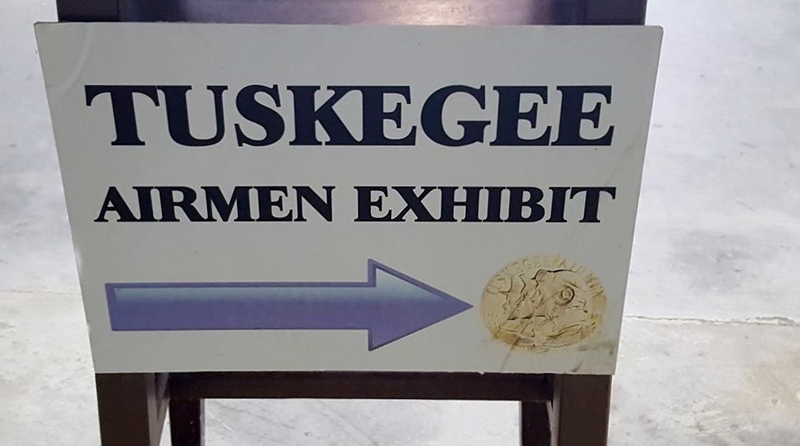 There’s an exhibit honoring the Tuskeegee Airmen and their substantial contribution to the Allied victory in World War ll. These unsung heroes performed amazing feats of skill and bravery while sometimes using substandard equipment. During World War ll, the 483rd Bombardment Group offered bomber support all over Europe, mostly using the B-17 Flying Fortress like the one displayed here. 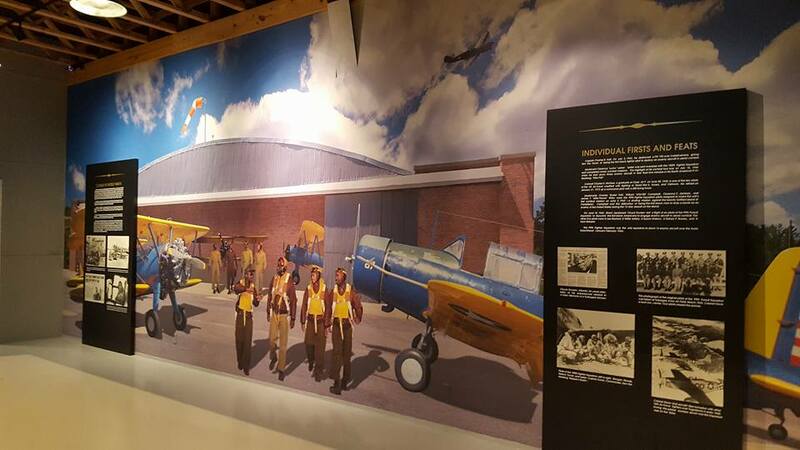 The Hump pilot exhibit showcases the efforts, as well as the hardships endured by the pilots who provided air logistics and support in China, India and Burma during WW ll. This was a crazily, dangerous task because there were no reliable navigation charts or radio navigation aids. Plus, no airfields existed for basing the large number of cargo planes that were needed and they were flying over the dangerous terrain of the Himalayas. 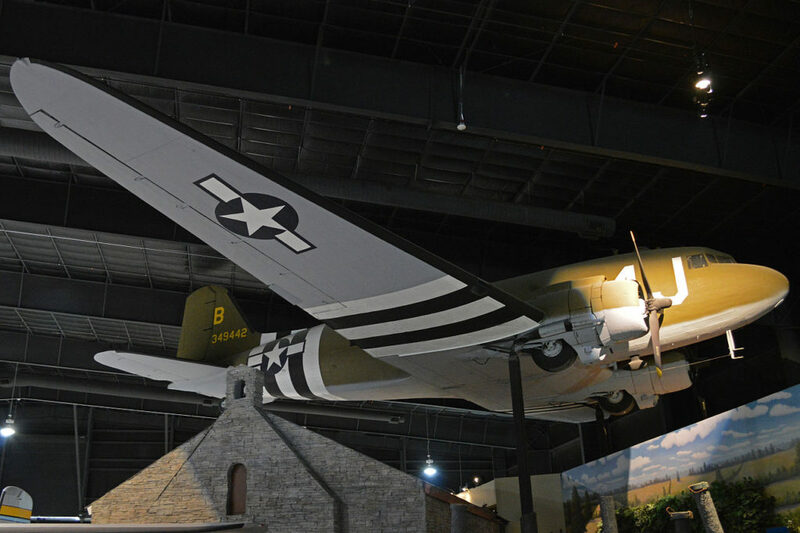 The C-47B “Skytrain” on display is the type used for some of the deadliest cargo flights in history. Clearly, these pilots were made of something special! 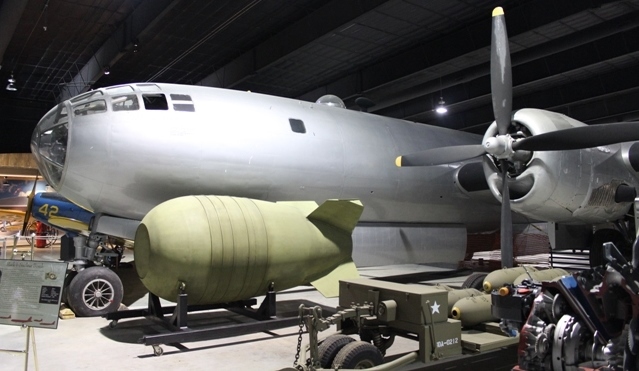 Side note: The B-29 on display was built in July 1945 at the Bell Bomber Plant in Marietta, Georgia. 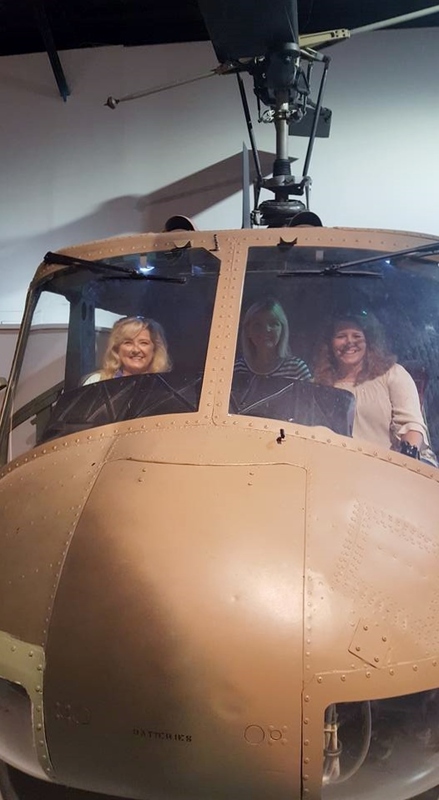 Be sure to visit Hangar One and climb inside a fighter cockpit and a helicopter for a truly fun photo op. Truly selfie-worthy! This building houses a large exhibit of aircraft and equipment used in Southeast Asia in the 1960’s and 1970’s. You can see a UH-1 “Huey” helicopter used by special ops forces in Vietnam. 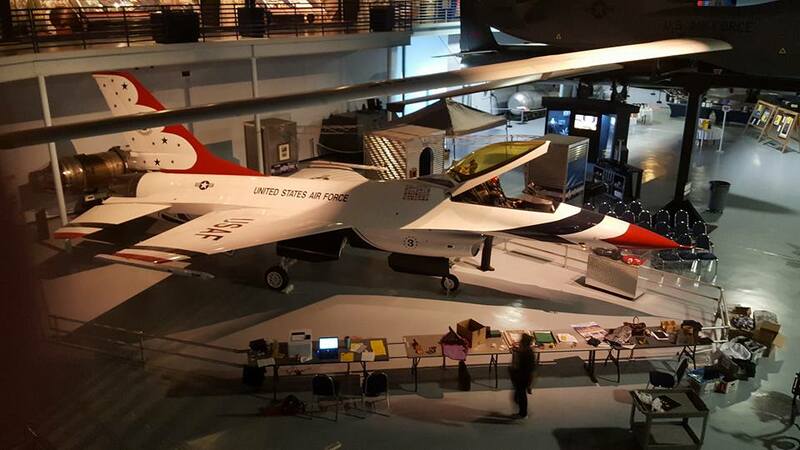 Other aircraft used in the Vietnam conflict on display include fighter jets such as the F-4 and an F-105. Walk across the large courtyard to the Century of Flight Hangar and you’ll see things most people have never seen—reconnaissance aircraft. Some, like the SR-71, were used for long-range, advanced, strategic reconnaissance. It flies almost too fast to be seen. This one set the world absolute-speed record of 2,193 mph. Now that’s flying! This hangar also contains a display featuring those ambassadors in blue, the USAF Thunderbirds. You’ll see a Lockhed-Martin F-16A “Fighting Falcon” like the ones used in air shows across the country. 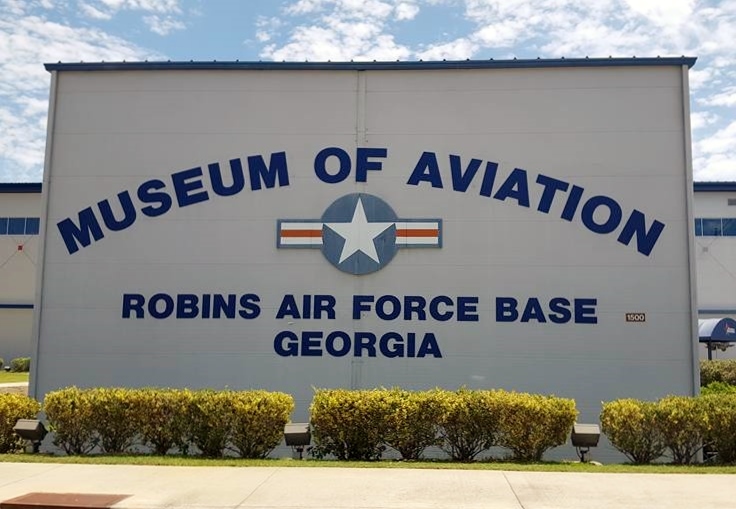 Upstairs, you’ll find the Georgia Aviation Hall of Fame which honors military and civilian men and women who have made significant contributions to the field of aviation or manned space flight. Who knows? You may even see someone you know. 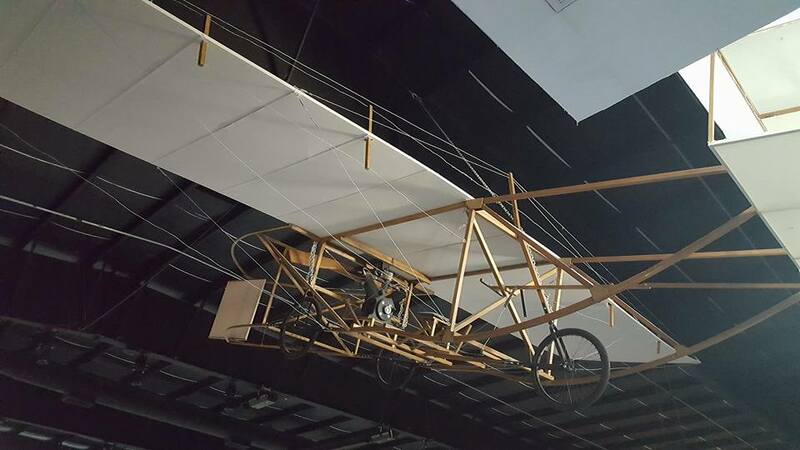 Honorees include Ben Epps, who built the Epps monoplane in 1907, all the way to astronauts John W. Young and Manley L. “Sonny” Carter, Jr. This is only a small sampling of things to see at this world-class museum. Be sure to eat before you go and wear comfortable walking shoes. If you’re like us, you probably read reviews on Trip Advisor or Yelp before going someplace new. P1 saw a review that complained that the Aviation Museum was “small” and there “wasn’t much to it.” Uh, we think they were talking about someplace else. When driving to it, you literally can’t miss it. This place is HUGE! Whether you stay for an hour or spend an afternoon, you’re sure to enjoy spending time with these amazing pieces of history. Free, self-guided tours are available every day and no reservation is necessary. Guided tours are available Tuesday through Saturday for groups of 20 – 100. Reservations are required. The cost is $3 per person and tours last about 1.5 hours. Whatever option you choose, you’re sure to be amazed when you visit this awe-inspiring museum. 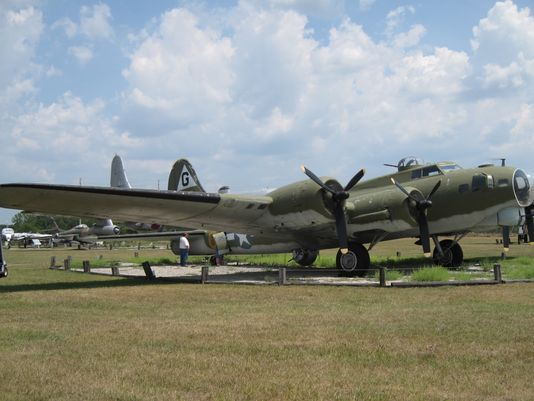 Museum of Aviation, 1942 Heritage Blvd., Robins AFB, Warner Robins, GA 31098. Hours: Open daily 9:00 a.m. – 5:00 p.m. Copyright © 2017 Picky Peaches, Inc. All Rights Reserved. 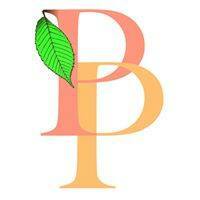 Thank you for reading our blog! And quite frankly, only one of the Peaches knew about this museum and brought it to our attention. We were amazed!